With so many of today's essential electronics eating through their battery, Axiom Universal Battery Charger steps in to keep the juice flowing no matter what. With adjustable charging prongs, the Axiom UBC is compatible with most any removable battery for cell phones, smart phones and digital cameras. 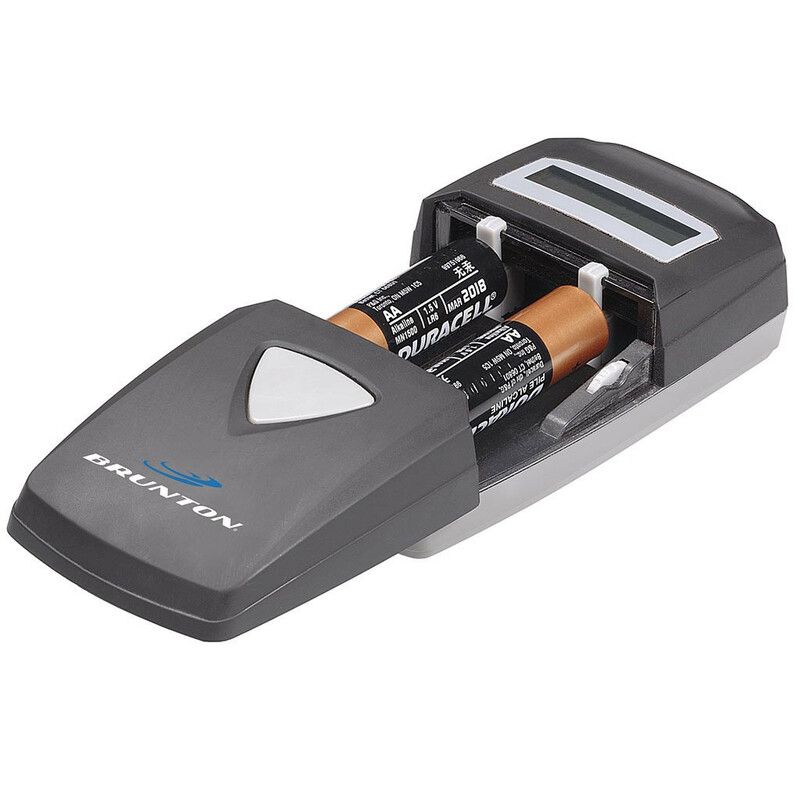 Add to that the ability to charge AA/AAA renewable batteries, and integration with Bruntons array of 12v solar panels, the Axiom will keep your power-hungry gadgets up and running off the grid. Weight: 5 oz Dimensions: 4x2.5x1"
The Brunton Company provides the Axiom to be free from defect for 1 year.